Each vase will be one of a kind with its own size & shape. Each pattern & color will be close to the photo but cannot be identical. Each wavy vase will be signed on the bottom. 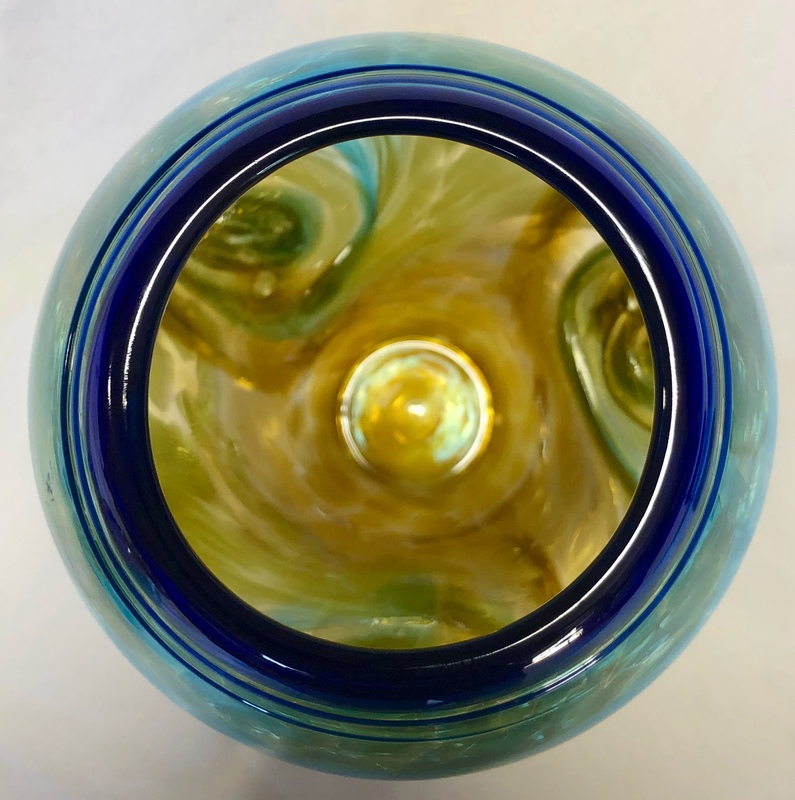 While we try to minimize bubbles, they are a normal part of the glassblowing process. 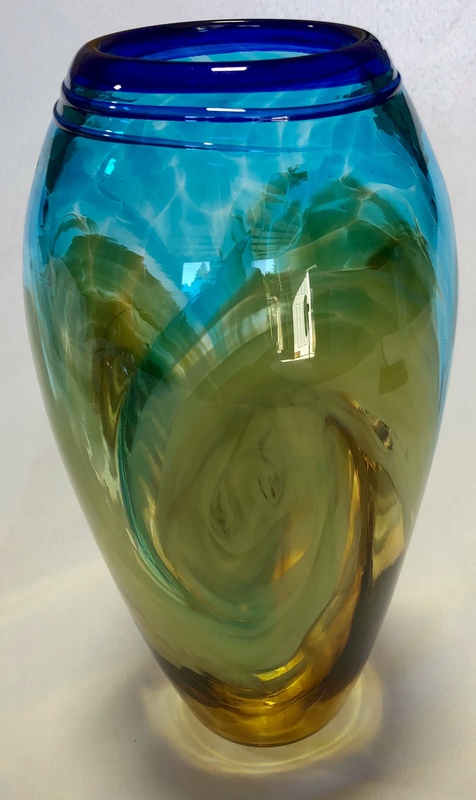 Your vase will most likely have bubbles but this will not compromise the integrity of the glass.